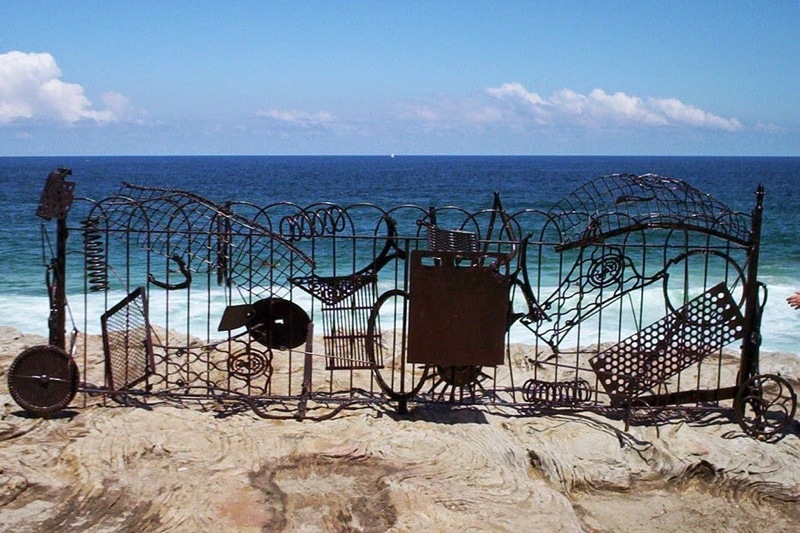 My Top 10 Sydney Eyewitness Guide has this to say about Sculptures By The Sea. as the setting for their works. They are exhibited from late October to November." It is also the perfect venue for budding photographers to try out their skills! 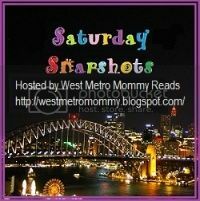 So many perspectives & angles, a variety of light & shadow, textures, shapes & colours. We missed 2007 as we were travelling overseas. 2008 we were in the middle of house hunting and moving. was the year we got caught in a late afternoon thunderstorm. Fortunately the sandstone cliffs and some of the sculptures were perfect for sheltering under! was another hot, sunny day that ended with a swim at Bondi Beach. 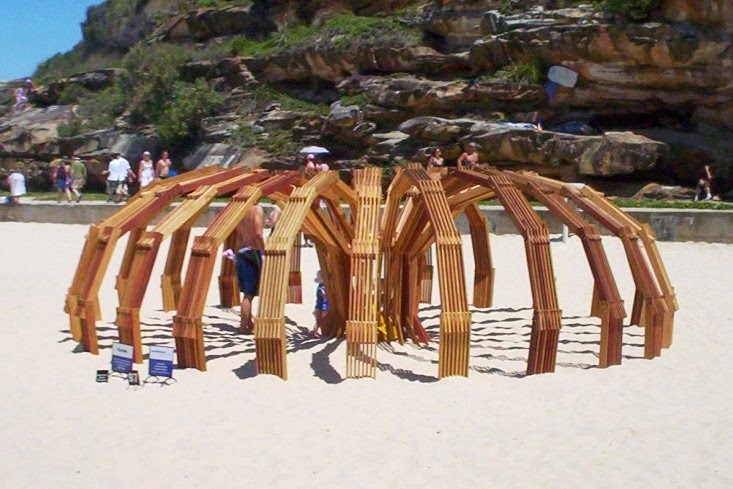 And here's the link to my 2012 Sculptures By The Sea post. Very cool. What happens to the sculptures after the season is over? I couldn't pick a favorite so many were very clever. Most are for sale & move on to new homes decorating public spaces, offices, gardens etc. Oh what a great post Brona. 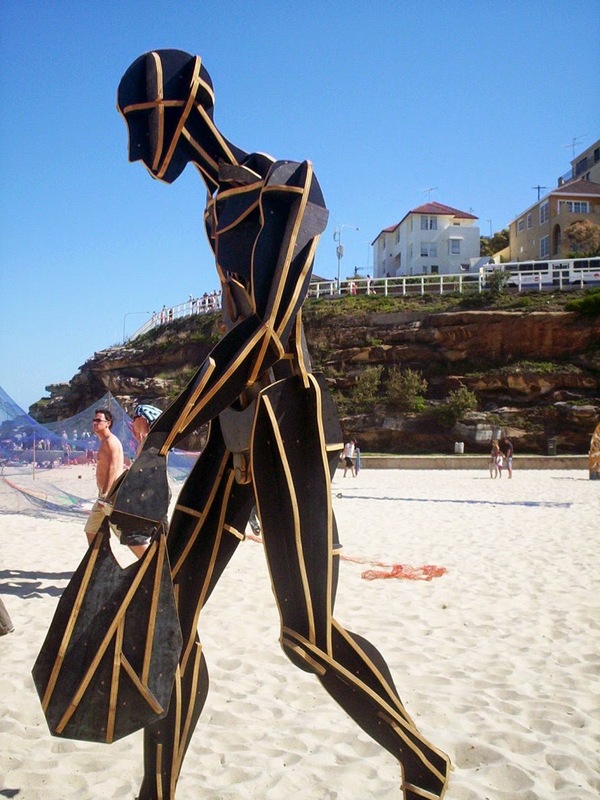 I've done that walk, but never during Sculptures by the Sea- I'd love to see it one day. Maybe this year? I'd seen some of these sculptures before, so hard to pick a favourite- the cuisinaire rods are a sentimental favourite of course for someone of our vintage. :-) one of my favourites too! But I also like the teardrop. These are amazing! I loved the ice cream truck! And then there were so many others I went "OOh, I like that!" These sculptures amaze me -- each one more fascinating than the next. I love sculpture gardens, but I've never seen one by the sea. That adds a whole other dimension. I definitely want to see this in person. Thank you for visiting my blog and leaving such a nice comment about my baby quilts. Wow. 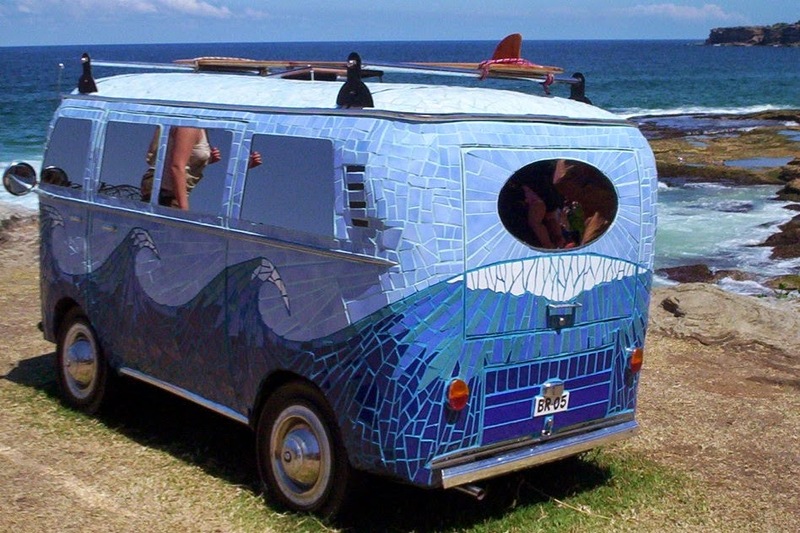 I love many of the ones that have natural forms, but my absolute favourite is the melted icecream van.